The Archimedes Project is a not-for-profit organization that believes the most intractable problems in water and sanitation can be solved using market-driven approaches. Meet the team behind Archimedes Project. Faith Wallace-Gadsden, Ph.D. founded the Archimedes Project in 2013 and serves as its full-time managing director. As part of her doctoral studies in molecular microbiology, Faith traveled to Haiti at the start of the cholera outbreak and saw first hand the failure of the international community to distribute simple and low cost technology to stop the spread of disease. She committed herself to stopping the spread of diarrheal disease by finding and implementing scalable business models that meet the desires for low-income families to protect themselves and their children. Angela McIntosh joined the Archimedes Project in September 2013 and is the part-time events coordinator. She is a organizational mastermind who is passionate about collaborating and engaging with communities to build their capacity to thrive. 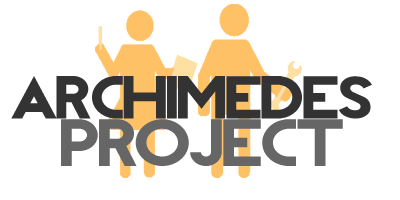 The board of directors help guide the development and expansion of the Archimedes Project. These directors represent the diverse needs of the organization and are committed to the Archimedes Project’s vision. Holger a professor at Harvard Law School, where I teach corporate law, corporate finance, and a class on hedge funds. His research focuses on the law and economics of corporate governance and financial markets, judicial behavior, and comparative law. Before he became an academic, he practiced with Debevoise & Plimpton in New York and clerked for two years in Europe. He has too many degrees, among them a Ph.D. in economics from Harvard University. He is a member of the bar of New York and qualified for the German bar. After acquiring experience in the international organisations/government space, Iynna found her truest passion in entrepreneurship and its interplay with tech and social impact. She returned to her home country of Cameroon to start a sanitation venture whose mission was to provide access to toilets to the 1M individuals in marginalised communities in the city of Douala. After developing this, Iynna returned to New York and worked in cleantech at the Urban Future Lab for the incubator, where she provided strategic and communication support to the 27 portfolio companies. She continued her entrepreneurial and tech career managing operations for a startup that provides STEM and entrepreneurship education to underrepresented underserved minorities in New York. She combined her social business and entrepreneurial expertise to manage Nobel Peace Prize Laureate Professor Muhammad Yunus’ digital global accelerator - to support the growth of social ventures across the world. Iynna is currently the Global Programs Manager at the Entrepreneurs Roundtable Accelerator, one of New York’s largest early-stage startup accelerator and venture capital (VC) fund. In her role, she is responsible for building partnerships with global startup ecosystems; identifying investment opportunities globally; creating and running US market entry acceleration relevant for the startups. Iynna is originally from Cameroon and Madagascar, by way of Paris (France), the UK, Senegal and now New York. She is a native French and English speaker as well as fluent in Spanish. She holds a Master in International Affairs, specialising in International Development from NYU and a Bachelor in International Relations and Spanish from Durham University, in England. Director of the MassCEC Water Innovation program with both a domestic and international focus on water resources and innovations in the water technology sector that aim to intelligently add water jobs, reduce energy consumption related to water needs and improve the use, reuse and access to global water stores. Enjoyed four years at the World Bank supporting the Water Supply and Sanitation sector’s $2.5 billion portfolio, covering the Latin America and Caribbean region while carrying out operational, open-source media and knowledge management roles. I have co-authored reports for both the World Bank and the Pacific Institute on Green and Inclusive Growth in the Water sector, Integrated Urban Water Management, and the growing risks to business and investors posed by water scarcity and climate change. During two years as a Peace Corps volunteer in Bolivia, I worked in a remote Amazon village to improve access to safe water. I hold masters degrees from the Monterey Institute of International Studies in Business Administration and Environmental Policy while also holding a bachelor of science in Biology. Michele Marsh presently serves as a Board Member for the Archimedes Project, and also sits on the Advisory Boards of UpChieve and Bowery Babes. Prior to these posts, Michele was the COO and a Board Member of the Art of Conservation, a nonprofit focused on conservation education. In this role she conducted fieldwork in underserved Mayan communities in Mexico and developed monitoring, evaluation, fundraising and programming strategies for the organization. Michele is currently pursuing an MS in nonprofit management at the New School, where she is also a graduate research assistant for the University’s Social Impact Entrepreneurship Initiative. Michele has been thrilled to apply the skills she gained in her nearly 20-year career on Wall Street to the nonprofit sector. During this time, Michele worked for Goldman Sachs in their investment banking division, for Lehman Brothers in institutional equity sales, and for Sansar Capital Management as a founding Principal and Director of Fundraising and Marketing. Michele was born and raised in New York but has lived abroad (Spain, Hong Kong, India) and travelled all over the world. She has a Bachelor of Arts in Comparative Areas Studies from Duke University, where she also minored in Spanish. She lives with her daughter and two dogs in Greenwich Village. Head of Product at Devoted Health. Nicholas Pike is a Principal of Twin Point Capital where he is responsible for managing investment analysis, due diligence, deal execution, and portfolio operations support. Prior to Twin Point, Nick was a Vice President at Advent International, a global private equity firm. At Advent, Nick focused on Business and Financial Services. Nick began his career in the Financial Sponsors and Leveraged Finance Group at UBS Investment Bank in New York. Nick earned a Bachelor of Arts degree from Harvard College and holds an M.B.A., with honors, from the Wharton School at the University of Pennsylvania. He wrote his undergraduate thesis on the political economics and development in Angola, and he has maintained an active interest and engagement with development topics since living in Ghana in 2001. Sujatha thrives on helping mission-driven leaders engage in transformational conversations for positive change. Through her work as a social impact consultant, network builder, and facilitator she supports corporate, philanthropic, and nonprofit actors in designing effective programs that produce deep social benefit for communities around the world. Sujatha grew up in a multi-cultural household, the proud daughter of an immigrant entrepreneur and a midwife. She brings a diverse background in community development, impact investing, and education to her work. In addition, she is a seasoned nonprofit leader, strategic planner, and capacity builder.